Get considerably more for your money in this attractive, centrally located county. There’s an air of Flat Earthism about the country-house market at present, with nervous London buyers loathe to venture beyond the Home Counties in their search for a rural idyll, in case they can never afford to return. An hour’s travel time from the capital is generally perceived as the absolute limit and the Cotswolds the boundary beyond which no prudent London house-hunter dare go. Even in good times, Worcestershire has often been considered a step too far by country-house buyers from the south-east of England, an attitude that Will Kerton of Knight Frank in Worcester finds mystifying, given the county’s central location and easy access to the business centres of Birmingham, Bristol, Cardiff and Oxford. ‘Especially when you consider that a farmhouse in Worcestershire probably costs half the price of a similar house in Oxfordshire, a character cottage in Worcestershire is about two-thirds the price of one in Oxfordshire and a Cotswold manor house costs about three times the price of a manor in Worcestershire,’ he adds. Compared with the cost of a family home in London, the amount of bricks you can get for your bucks in Worcestershire is almost laughable. For instance, a budget of £1.295 million will buy The West Wing (Fig 1), Abbey Manor, near Evesham, through Knight Frank in Stratford-upon-Avon (01789 297735) and Savills in Cheltenham (01242 548000), both towns a mere 15 miles away. The imposing, 7,000sq ft house represents the major part of a Grade II- listed, Victorian Gothic manor, built in 1816 on the site of the original Evesham Abbey, which was founded between 700 and 710 and razed to the ground following its surrender to the Crown in 1540. Stone gargoyles— reputed to be more than 1,000 years old —were salvaged from the site in the early 19th century and are an arresting feature of The West Wing’s entrance hall. Other historic elements include a stone obelisk erected in the grounds by the manor’s long-term owners, the Rudge family, to mark the losses incurred during the 13th-century Battle of Evesham and the Leicester Tower, built on the spot where Simon de Montfort, Earl of Leicester, was killed in battle in 1265. Abbey Manor stands in 30 acres of parkland and woodland, with commanding views across the River Avon towards Bredon Hill and the Cotswold escarpment. In addition to the use of the communal Abbey Manor grounds, The West Wing has its own just over half an acre of peaceful private gardens. The house enjoys the best of the afternoon sun and the sunsets over the surrounding landscape are quite magnificent. The West Wing has been sympathetically renovated and retains many striking original features, including the Gothic-style battlements, stonework and arches, the grand reception hall, the fine oak staircase, elegant entertaining rooms and spacious bedrooms. Fig 2: Historic Wichenford Court, near Martley, has scope for expansion. £1.7m for the main house, gardens and outbuildings. In recent years, the house—which has five reception rooms, a kitchen/ breakfast room, master and guest suites, three further bedrooms and a family bathroom—has been run as a top-end country B&B by its enthusiastic owners, who are happy to share their passion for the house and its history with their guests. Grade II*-listed Wichenford Court (Fig 2), near Martley, in the picturesque Teme Valley, six miles north-east of Worcester, is one of several historic manors currently for sale through Knight Frank’s Worcester office (01905 723438). 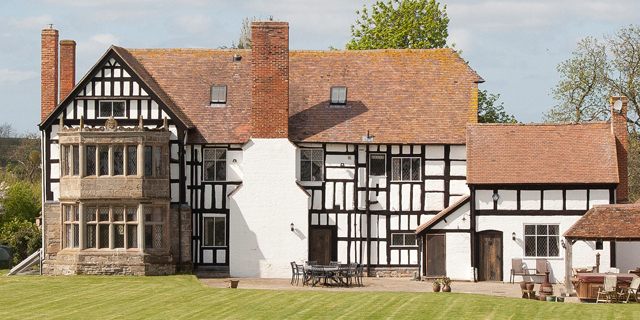 Originally a moated farmhouse listed in Domesday, the court was remodelled by Edward Skinner in 1712, further improved in the 1970s and again by the present owners in the past 10 years. In medieval times, Wichenford was the seat of the Washbourne family, where, according to Noake’s Guide to Worcestershire, the redoubtable Lady Washbourne had one of the Bourbon princes imprisoned and executed in 1405, when the Welsh nationalist hero, Owain Glyndwr, was making his last stand against the English on nearby Woodbury Hill. Wichenford Court stands at the end of a long drive surrounded by its outbuildings and 6.4 acres of formal gardens, grounds and paddocks. The house is exceptionally well proportioned and has some 7,000sq ft of accommodation on three floors, including four reception rooms, a study, a large kitchen/breakfast room and five first-floor suites, with a sitting room, two further bedrooms and two bathrooms on the second floor. Knight Frank quote a guide price of £1.7m for the main house, gardens and outbuildings, along with a cottage, stabling and a swimming pool. The adjoining 131⁄2 acres of paddocks are offered separately at £150,000 and an extensive range of traditional barns with potential for development is available for a further £500,000. 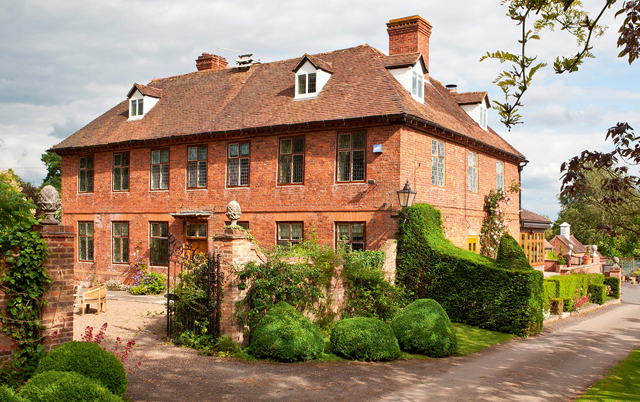 Fig 3: Naunton Court, near Pershore, is situated in The Lenches, an area renowned for its blossom trails in spring. £2.15m for the whole estate. They also quote a guide price of £2.15m for striking, Grade II-listed, black-and-white Naunton Court (Fig 3) near Pershore, east Worcestershire, which sits in some 28 acres of gardens and grassland, in an area of rolling countryside known as The Lenches, famous for its blossom trails in springtime. Naunton Court is thought to date from the 1600s and was the home of many generations of the Lyttelton family, who were county notables. The main house boasts 5,802sq ft of impressive living space, including four reception rooms, a study, a kitchen/breakfast room, eight bedrooms and five bathrooms.